In a medium bowl combine, peppers, onion, carrots and frozen pineapple chunks. Set aside. 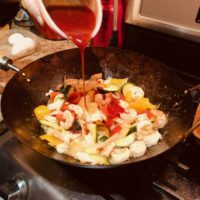 In a wok or large saucepan heat vegetable oil until smoking hot over high heat. 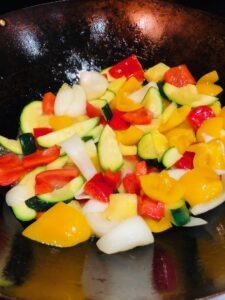 Add chopped vegetables, and stir fry for 4-5 minutes stirring often until just starting to soften. Add shrimp and cook for 2 minutes until they just start to turn pink. 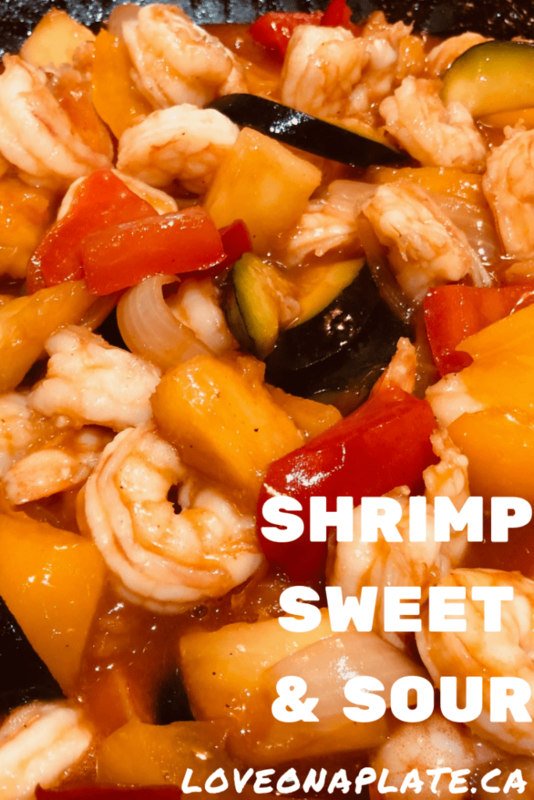 Pour in sweet and sour sauce, and cook stirring occasionally until sauce thickens and shrimp are cooked, 2-3 minutes. 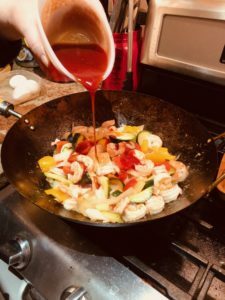 Do not over cook or shrimp will become rubbery. Prepare all vegetables and place in a large Zip Lock bag. 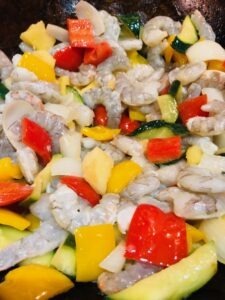 Clean Shrimp and place in a smaller bag inside the larger Zip Lock bag OR clean shrimp on cooking night. *Fresh or defrosted shrimp should be eaten within a day.